ABD is proud to support and be a lead sponsor for Devizes Christmas Festival and Lantern Parade 2013. 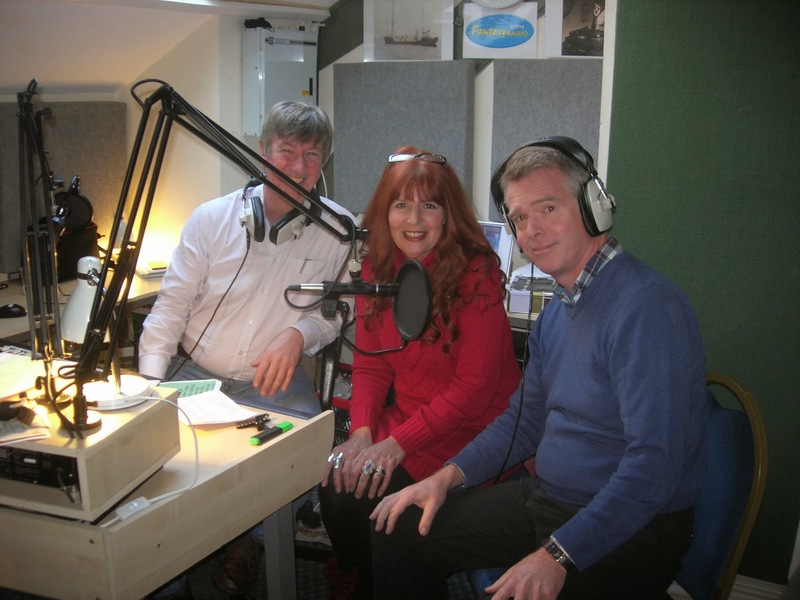 ABD Partner Andrew Douglas gave an interview to Fantasy Radio Saturday morning presenters Ian Wilson and Lesley Scholes on Saturday 23 November 2013 about the Devizes Christmas Festival and Lantern Parade. Fantasy Radio 97fm broadcasts from studios in The Corn Exchange which is based in the Devizes market place and originally started in 1995. This informative radio station plays great music “throughout the decades” and has links with local artists, and businesses. As well as chat shows, interviews, news and music, regular updates and information are provided about what’s going on in and around Devizes. From left to right; Fantasy Radio presenters Ian Wilson and Lesley Scholes with ABD partner Andrew Douglas. Come and join ABD for mince pies and mulled wine! Thousands of people turn out to this exciting festive event which takes place mainly in the High Street. There will be lots of Christmas Stalls, Community Fair in the Neeld Hall, local food products, Father Christmas and MORE! This fantastic festival was formally known as The Dickensian Evening because people used to dress up! There will be lots going on - a hog roast, brass band and Christmas Carols. Felicity Montagu who is the radio presenter in Doc Martin and who played Perpetua in Bridget Jones Diary will open this event at 6pm. ABD supports and celebrates the great “Christmas light switch on” by sponsoring the main Christmas tree in 4 towns! Look for our banners around the main Christmas Trees in Chippenham, Devizes, Royal Wootton Bassett and Marlborough!